Marsh, James H.. "Hugh Fisher". The Canadian Encyclopedia, 26 July 2015, Historica Canada. https://www.thecanadianencyclopedia.ca/en/article/hugh-fisher. Accessed 21 April 2019. 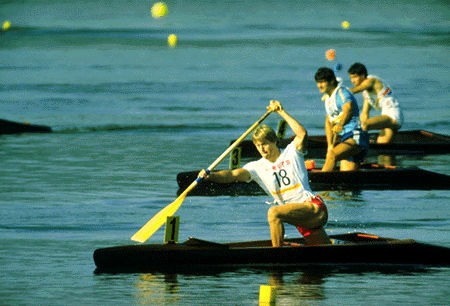 Fisher and Morris won a gold medal in canoeing at the 1984 Olympic Games (courtesy Canadian Sports Images). 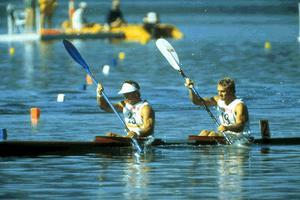 Hugh Fisher, canoeist (b in New Zealand 1 Oct 1955). He finished first in the K-2 500 m and K-4 500 m events at the 1976 national championships and was 1979 and 1980 outrigger world champion. He missed the 1981 season because of injury but managed a second-place finish (K-2 1000 m, time 3:37.45) at the 1982 world championships, a third-place finish at the 1983 world championships (K-2 500 m, 1:49.58) and a second (K-2 500 m) and third (K-2 1000 m) at the Brandenburg Regatta in 1984. With Alwyn MORRIS he won a gold medal in the K-2 1000 m (3:24.22) and bronze in the K-2 500 m (1:35.41) at the 1984 Los Angeles Olympics. At recent national championships, he finished first in the K-4 1000 m (3:12.136) in 1985, but had a second-place finish in the K-1 500 m and K-2 500 m events in 1986. Disappointed at not making any of the finals at the 1988 Olympics, Fisher retired, but was lured out of retirement by Morris to try again at the Games in 1992. 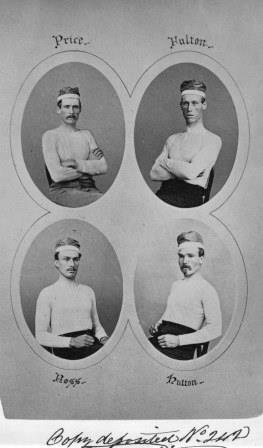 The former champions were unable to qualify, however. 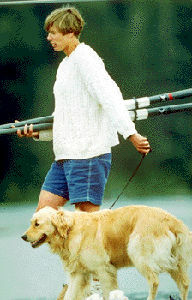 Fisher received the Order of Canada in 1985.